Before Halo, Call of Duty, Doom, and even Wolfenstein 3-D, there was Catacomb 3-D, a prototype of the first person shooter. 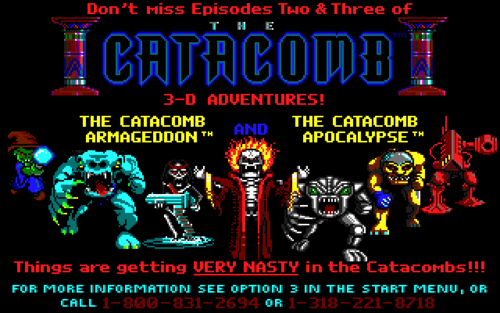 Catacomb 3-D is the third of a series, although it is the first using a 3-D engine. Playing as a nameless wizard, you descend into a catacomb to battle orcs, goblins, and other creatures with a variety of spells that you find throughout each level. The game was later followed up the Catacomb Fantasy Trilogy, which wasn’t developed by ID, although they use a similar engine and gameplay. These three games introduce new levels, and the third part even introduces sci-fi elements. You can get the entire series for only $6 at GOG.com. 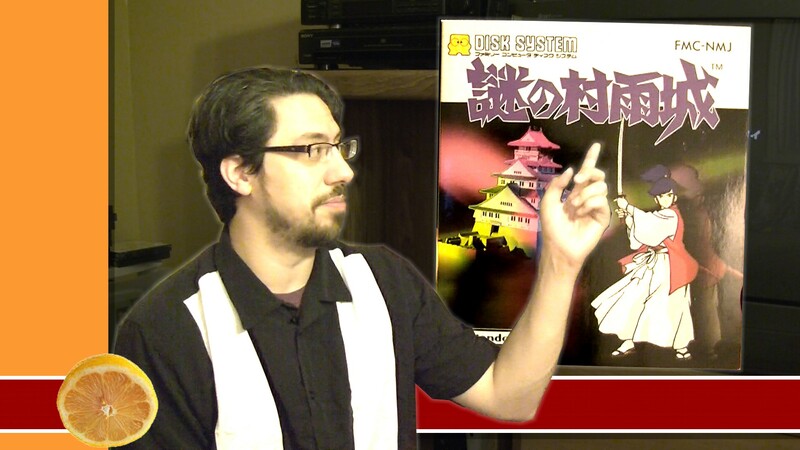 You’ll want to check it out and witness the birth of one of gaming’s most popular genres. Borderlands is a synthesis of first person shooting action and RPG-style level grinding and looting. Playing as one of four survivors in a post-apocalyptic landscape, you search for what is called “The Vault”. According to legend, the Vault contains vast amounts of treasure. Since no one has ever made it there, you’re going to trek through miles of desert, battling enemies, and collecting weapons. You’ll complete several quests and meet several NPCs. The guns are a huge part of the experience. You’ll collect certain guns, fall in love with them, using them every chance you get, only to discard them when you find something even cooler and you’re nowhere near a shop where you can sell it. Each of their four characters have their own upgradable abilities, and you can team up with another player for online co-op. The sequel is on its way, so now is a good time to check out the original. If you got a little extra, you can buy the complete edition which contains all the downloadable content released for the game. 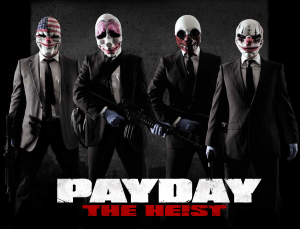 Payday, like Left 4 Dead, is a 4-player online co-op FPS that stresses teamwork. Except this time, you aren’t working together to survive the zombie apocalypse, you are teaming up in order to pull heists. You’ll run in, take and restrain hostages, shoot it out with law enforcement, and (provided everything goes well), escape with the money. Taking control of one of four criminals, you pull off a number of different heists. Although there are a small number of maps, the heists are generated randomly. If you die, your teammates have the option of exchanging a hostage in order to get you back. There are three skill trees you can upgrade, and several skills that you can unlock. The game has been supplemented with free content. There is a single player mode, but your computer controlled teammates are horrible, so online co-op is the way to go. The game doesn’t have a storyline, and at times the game seems rather unpolished. However, for a $20 downloadable title, you can do worse. This game is fun, and easy to get wrapped up in. In fact, I had to stop myself from screaming “GET THE @#$% DOWN NOW!!! !” while dealing with some hostages. This Past week, Portal 2 hit stores everywhere. If you don’t have enough money for it, don’t worry, there is another first person shooter/puzzle hybrid you can check out in the meantime. 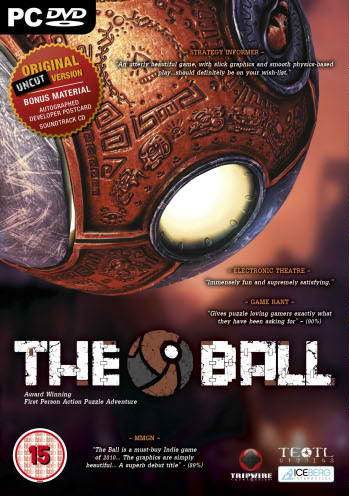 The Ball, developed by Swedish developers Teotl Studios, was originally intended to be a mod to Unreal Tournament 3. 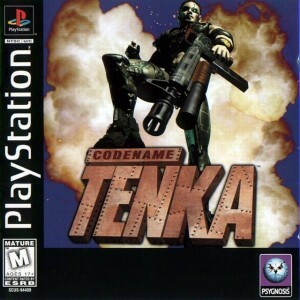 Instead, the developers moved it over to the Unreal Development Kit in order to release the game as a standalone package. You play as an archeologist trapped in a cave. You encounter two artifacts: a large round ball and a strange gun which you use to control it. You use the ball to solve puzzles, defeat enemies, and explore the secrets of the underground cavern. The game’s physics makes the puzzles unique, and the Unreal Engine 3-powered graphics make the game look gorgeous. It was entered into Epic’s �Make Something Unreal� annual contest, and was also included in Valve’s �Potato Sack Pack�, a Steam promotion featuring several independently developed games that were discounted and bundled in anticipation of Portal 2’s release. So if you’re done with Portal 2, or just don’t have the money for it yet, pick this up in the meantime.